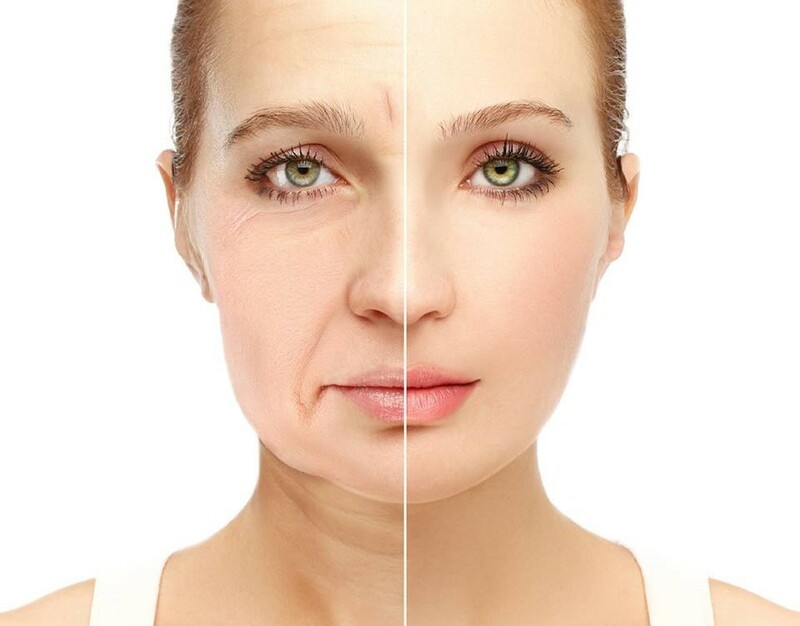 As people age, the elasticity of the skin diminishes. This is because the skin stops producing collagen, which is the main structural protein in skin and other connective tissues. Collagen keeps our skin elastic and smooth. As a result, skin will lose its plumpness, droop and becoming saggy. The sun’s UV rays and gravity will also have an adverse effect on the skin, and these factors will become evident to the observer as facial muscles lose their strength. Ultherapy is a non-invasive anti-aging treatment used to improve the appearance of sagging skin, with noticeable results minus the discomfort. The technology used is known as High Intensity Focused Ultrasound (HIFU), which is a technique that utilises ultrasound energy to stimulate the production of collagen in the skin. This will enable the tightening and rejuvenation of skin. Ultherapy not only helps improve the appearance of sagging skin on the face, but also assists in improving the look of eye bags or wrinkles under the eyes, and the tightening of skin on the neck. The tightening of skin under the eyes will make the eye bags less noticeable. To improve the condition of eye bags even more, a combination of ultherapy and dermal fillers is recommended. 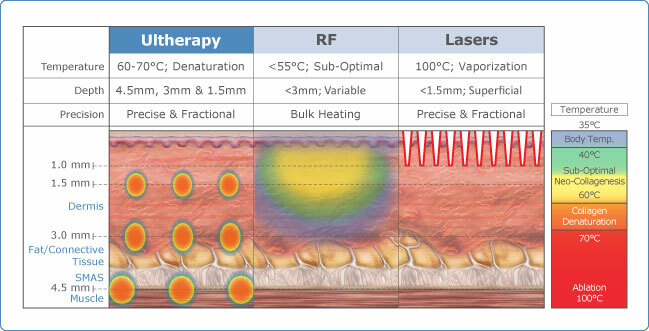 During consultation, the suitability of the patient as a candidate for Ultherapy HIFU treatment will be assessed, and any concerns or worries will be addressed. 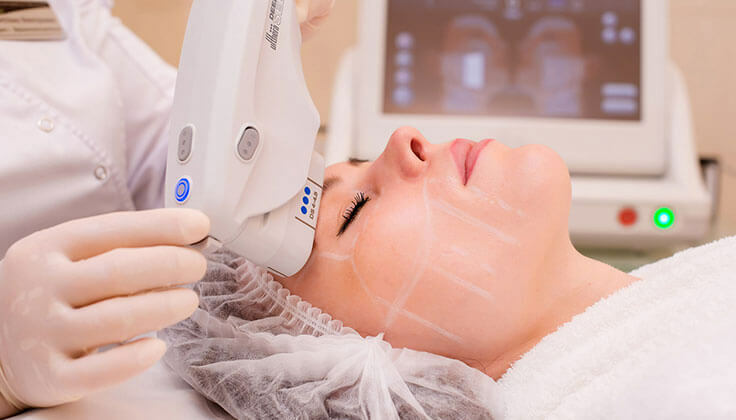 The ulthera machine utilises HIFU ultrasound technology. The ulthera treatment procedure is non-invasive, safe and effective. The ultrasound energy passes through the skin’s surface to the right depth and at the right temperature, without causing damage to the skin. This treatment will stimulate the skin to naturally produce fresh collagen, thereby improving the elasticity of the skin. This ultrasound technology also enables doctors to view the tissue layers of the patient, so they are able to determine which areas require the treatment the most. This ensures optimum results are achieved. Patients can notice an immediate improvement in their skin after a single session. However, with consistent treatment spaced out over months, as prescribed by the doctor in consultation, progressive results will become more visible over an extended period of time. The skin will produce more collagen during each session, and this will have a positive accumulative effect on the skin, tightening it to reduce wrinkles and signs of aging in the treatment areas. Due to the fact that this Ultherapy HIFU treatment is non-invasive, there is no downtime incurred. Patients can resume their daily routine and activities immediately after each session. Some patients might experience signs of redness in the treatment areas after the procedure, but it should subside in a few hours. Certain patients might also have slight swelling or tender skin, but this is only a mild effect and temporary in nature. No special skin products or care regime is required after the treatment. However, patients are advised to take care of their skin using suitable products to maximise the benefits obtained from the treatment. The Ultherapy treatment stimulates the production of fresh new collagen by delivering focused ultrasound energy to the skin’s foundational layer. This aesthetic procedure is non-invasive, in other words, it does not involve surgery. The HIFU ultrasound energy can pass through the skin’s surface to reach the right depth and deliver the treatment at the right temperature, without damaging the skin. The new collagen produced will lift and tighten skin on the face, as well as the neck, chin and brow. An improvement in the skin can be seen right after a session, but with consistent sessions prescribed over the period of a few months by a doctor, better overall results can be achieved. Natural-looking results can be obtained. As this is a non-surgical procedure, no downtime is required. Patients can go back to their daily routine almost immediately. Call us for a consultation today, to find out how Ultherapy can help improve the appearance of your sagging skin!